The RDP range is a series of Reciprocating Plunger Pumps in a variety of sizes in Triplex and Quintuplex formats and designed in accordance with the latest edition of API 674 and ISO 13710 for high pressure applications. The RDP series of Reciprocating Plunger Pumps is suitable for handling most liquids for Oil & Gas, Industrial and Wastewater Treatment applications. 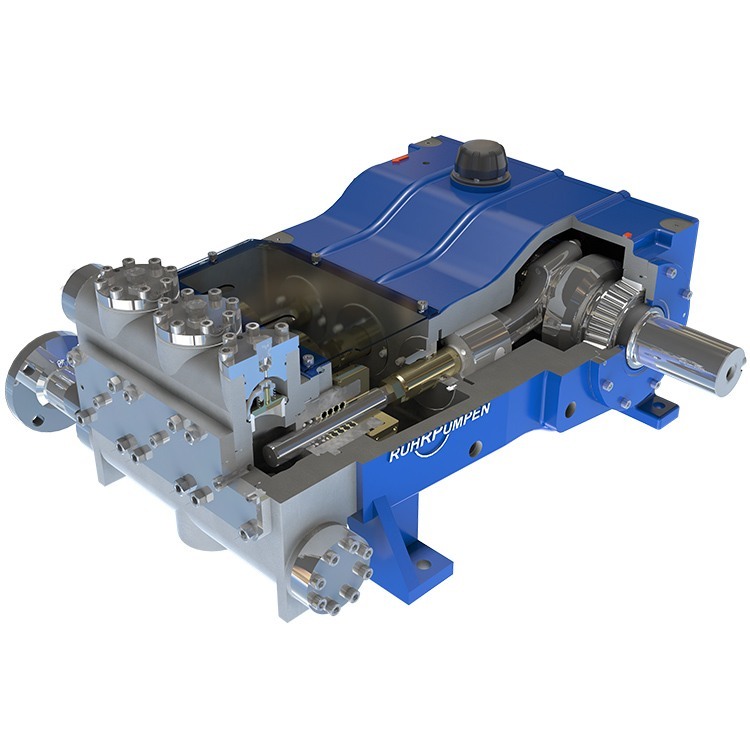 RP's RDP pump series are a type of positive displacement pumps where a smooth cylindrical plunger slides through the seal, making it different from piston pumps and allowing higher pressures. For applications outside the Operation Limits, please contact RP.